A perfect appetizer no matter the season…. this delicious dish is going to satisfy! 1. Set the Burrata out on a plate and let come to room temperature. 2. In a food processor, combine the arugula and garlic. Blitz ! 5. 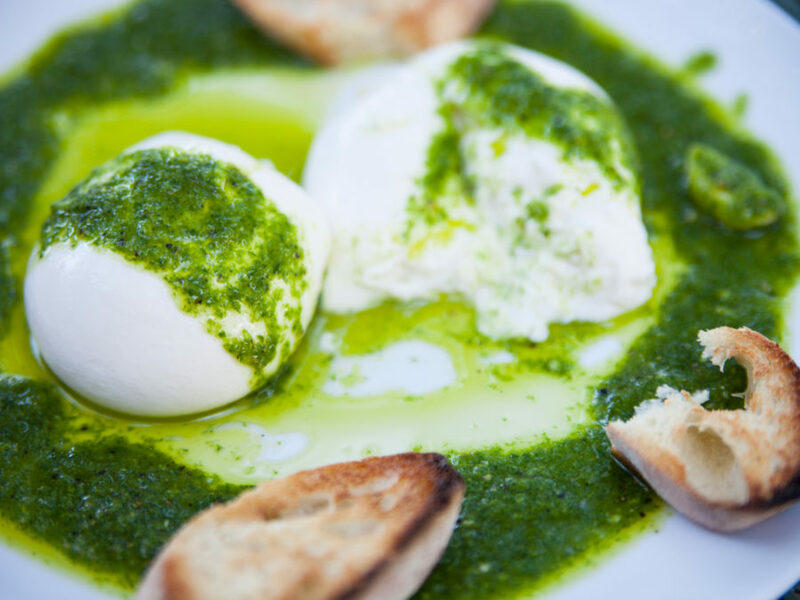 Drizzle over Burrata and serve with grilled bread. 6. Enjoy every last drop.